On the evening of Tuesday, May 1, a wave of migratory birds arrived in Massachusetts. 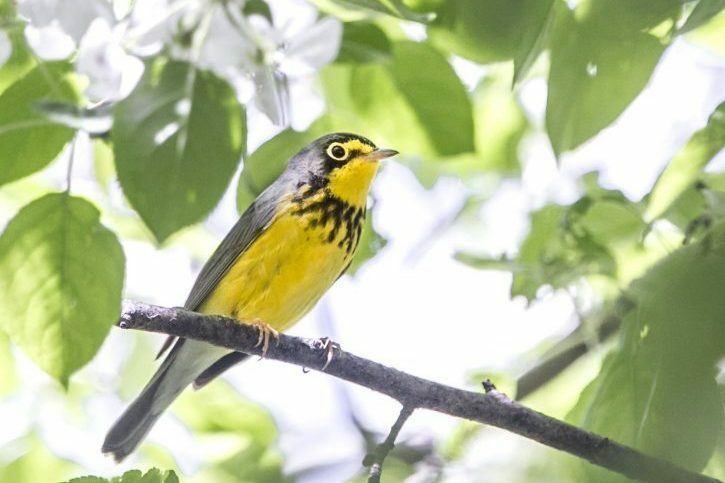 While some early-migrating species have been trickling in since April, Wednesday, May 2, marks the beginning of the season for our most colorful migrants. Scarlet Tanagers, Yellow Warblers, melodious Wood Thrushes, and a host of other species have finally arrived after waiting out winter in the tropics. Most migratory songbirds fly north under the cover of darkness, out of sight of daytime predators like falcons and hawks. Sometimes, it’s possible to hear them in quiet, open spaces: a faint “chip” noise is the telltale sign of a warbler flying overhead. Most nights, you might just hear one ever few minutes, but on nights with heavy migration, it’s possible to hear a flight call every second. These birds prefer to migrate on nights with southwest winds, which speed them on their journey north. In fact, Tuesday’s southwest winds combined with recent bird reports from New York were the key tip-offs that migrants would arrive today. These birds journey north over several nights, with most stopping to feed along the way and flying with a southwest wind at their backs. In fact, after staying put during last week’s steady northerly winds, this first push of birds flew into Massachusetts as soon as the winds shifted southwest. The scale of bird migration is astounding. So huge, in fact, that you can watch it unfold across entire regions on radar. Doppler radar, normally used to detect weather patterns like thunderstorms, regularly picks up “clouds” of migrating birds, allowing scientists to study migration patterns on a continental scale. To learn how to predict bird migration with radar, check out our introduction to the topic and specific instructions on how to read radar signals. One of the joys of spring migration is that surprising birds can show up just about anywhere. While migratory species rely on undisturbed forests and shrublands to breed, many also pass through urban and suburban parks on their way north. Any grove of trees, whether in the Boston Public Garden or a suburban backyard, is a great place to check for warblers, orioles, grosbeaks, and other goodies. 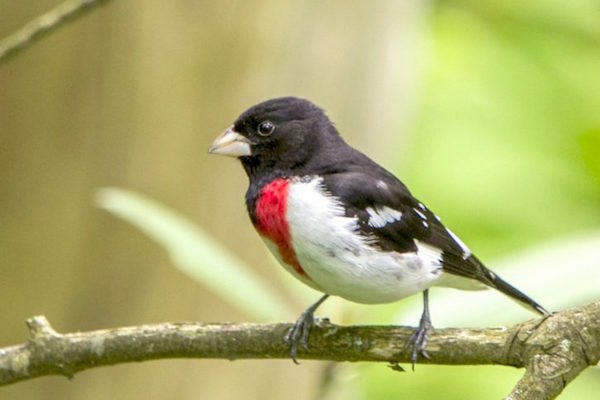 Look for these colorful visitors in the highest parts of trees, but also around dense cover like thickets. But the real key is waking up early. Most migrants are active just after dawn, and turn quiet by mid-morning. Good luck! If you see anything good out there, let us know on our Facebook page. 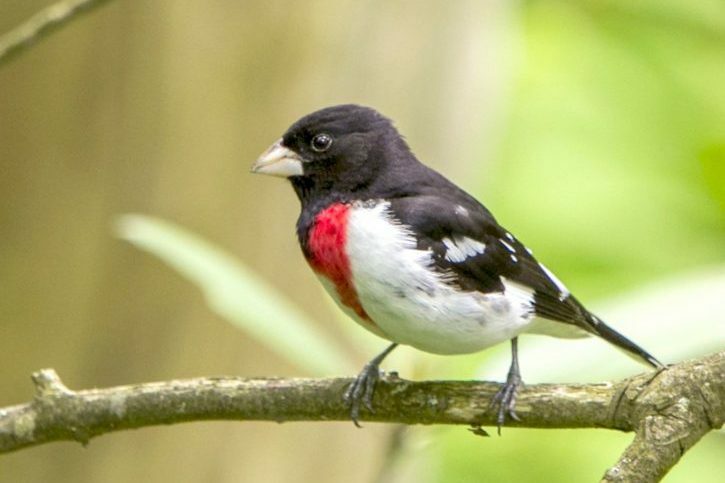 This entry was posted in Get Outdoors, Nature Notes and tagged bird migration, birding by radar, birds and radar, grosbeaks, orioles, predicting migration, spring migrants, spring migration, tanagers, warblers on May 2, 2018 by William Freedberg.